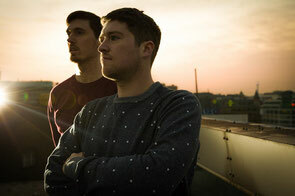 After bringing their 'Next Step' tour to Australia, Dusky continue to with the release of their 'Yoohoo' music video. Honing into the '90s rave era, the video plays on the idea of retro computer animations and psychedelica. Following the recent announcement of the single on their 17 Steps label, the London duo present the memory-awakening video directed by Charlie Robins and animated by Lewis Kyle White. Evoking the halycon days of early-90s rave and referencing many of the era’s iconic flyers for nights such as Dreamscape, Helter Skelter, Amnesia and Dance Planet, ‘Yoohoo’ draws on the duo's deep love of classic house, techno and rave, putting their own unique spin on it for 2014. In the video, Robins places the track amongst a cosmic, computerised and Tron-like landscape, taking it on a nostalgic, misty-eyed journey through memorable imagery from a defining time in the UK’s electronic music culture.